Hong kong-invested Nantong Eurofield Art's toys co., Ltd.(Eurofield), which founded in 1989. 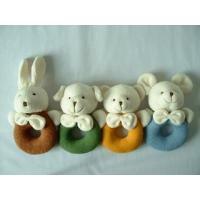 During the nearly 30 years, the company has focused on baby soft toys and products' design,manufacturing and sales. 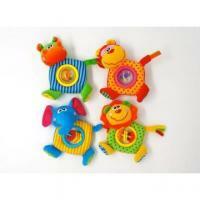 The main cooperation company have Disney,Primark ,Argos , Kaufland, Walmart,Chicco etc. The owned factory has passed the ISO9001 quality system certification. We always adhere to provide babies with safe, non-toxic, harmless, puzzle, and be conducive to the healthy growth of Baby Toys and supplies.All the productions are up to the standard of EN71,ASTM F963, GB6675 such International and domestic standards. The "eurofield"trademark have been registered in China, the United States, the European Union, Japan and other fourteen countries . Welcome the domestic and foreign friends to contact us with the intent of becoming our partner.